The urologist’s most powerful secret weapon…for the post menopausal woman! Posted on June 14, 2017 by John McHugh M.D. Click here for over view of atrophic vaginitis. Posted on February 16, 2017 by John McHugh M.D. Check out the AUA’s latest patient educational materials from the Urology Care Foundation! We’ve been busy updating and adding new patient education materials to UrologyHealth.org. Print and share our free materials below with your friends and family. Want to understand Overactive Active Bladder (OAB) better? Read on! Posted on January 29, 2017 January 29, 2017 by John McHugh M.D. 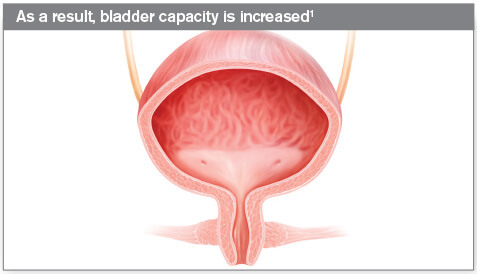 The bladder has a contraction phase for emptying and a storage phase that allows for storing urine. Sometimes problems with both functions contribute to OAB symptoms of frequency, urgency, getting up at night and incontinence. This is why sometimes the urologist will use two medicines to maximize treatment results. The articles below explain. Astellas Website with OAB patient resources. Do You Know the 2 Neural Pathways of OAB? Sponsored by Astellas Pharma US, Inc.
Do your OAB patients know what’s causing their symptoms? Astellas is committed to helping your OAB patients better understand their symptoms. Visit https://www.astellasresources.com/urology-resources for patient tools and helpful resources. 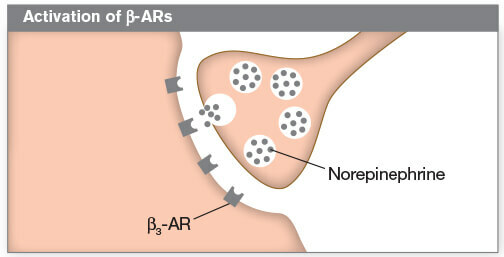 Which of the following is the correct signaling cascade? Gormley EA, Lightner DJ, Burgio KL, et al. Diagnosis and Treatment of Overactive Bladder (Non-Neurogenic) in Adults: AUA/SUFU guideline. Linthicum, MD: American Urological Association Education and Research, Inc.; 2014:1-57. Andersson KE, Arner A. Urinary bladder contraction and relaxation: physiology and pathophysiology. Physiol Rev. 2004;84(3):935-986. Ouslander JG. 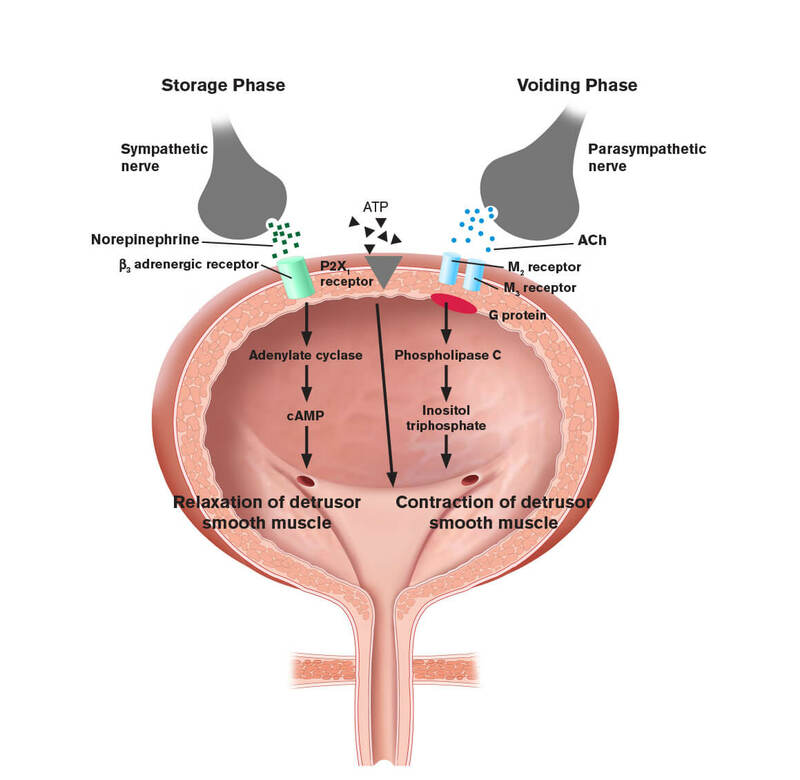 Management of overactive bladder. N Engl J Med. 2004;350(8):786-799. Chess-Williams R, Chapple CR, Yamanishi T, Yasuda K, Sellers DJ. The minor population of M3-receptors mediate contraction of human detrusor muscle in vitro. J Auton Pharmacol. 2001;21(5-6):243-248. Yamaguchi O, Shishido K, Tamura K, Ogawa T, Fujimura T, Ohtsuka M. Evaluation of mRNAs encoding muscarinic receptor subtypes in human detrusor muscle. J Urol. 1996;156(3):1208-1213. Anderson KE. Pharmacology of lower urinary tract smooth muscles and penile erectile tissues. Pharmacol Rev. 1993;45(3):253-308. Click here to see the full Prescribing Information for Myrbetriq® (mirabegron). Myrbetriq® (mirabegron) is a beta‑3 adrenergic agonist indicated for the treatment of overactive bladder (OAB) with symptoms of urge urinary incontinence, urgency, and urinary frequency. Myrbetriq is contraindicated in patients who have known hypersensitivity reactions to mirabegron or any component of the tablet. Myrbetriq can increase blood pressure. Periodic blood pressure determinations are recommended, especially in hypertensive patients. Myrbetriq is not recommended for use in severe uncontrolled hypertensive patients (defined as systolic blood pressure ≥ 180 mm Hg and/or diastolic blood pressure ≥ 110 mm Hg). Urinary retention in patients with bladder outlet obstruction (BOO) and in patients taking antimuscarinic medications for the treatment of OAB has been reported in postmarketing experience in patients taking mirabegron. A controlled clinical safety study in patients with BOO did not demonstrate increased urinary retention in Myrbetriq patients; however, Myrbetriq should be administered with caution to patients with clinically significant BOO. Myrbetriq should also be administered with caution to patients taking antimuscarinic medications for the treatment of OAB. Angioedema of the face, lips, tongue and/or larynx has been reported with Myrbetriq. In some cases angioedema occurred after the first dose. Cases of angioedema have been reported to occur hours after the first dose or after multiple doses. Angioedema associated with upper airway swelling may be life threatening. If involvement of the tongue, hypopharynx, or larynx occurs, promptly discontinue Myrbetriq and initiate appropriate therapy and/or measures necessary to ensure a patent airway. In clinical trials, the most commonly reported adverse reactions (> 2% and > placebo) for Myrbetriq 25 mg and 50 mg versus placebo, respectively, were hypertension (11.3%, 7.5% vs 7.6%), nasopharyngitis (3.5%, 3.9% vs 2.5%), urinary tract infection (4.2%, 2.9% vs 1.8%), and headache (2.1%, 3.2% vs 3.0%). In postmarketing experience, the following events have also occurred: constipation, diarrhea, and dizziness. Is Myrbetriq right for your OAB patients with symptoms of urge urinary incontinence, urgency, and urinary frequency? Visit www.MyrbetriqHCP.com to learn more. Posted on January 5, 2017 by John McHugh M.D. Urology Care Foundation is funded by the American Urological Association. It is a very useful site both for urologists as well as urological patients. On this site a patient can download infographic posters and subscribe for free for the monthly magazine. Click on the image below to get a taste of the top 5 tweets by UCF for the year and then checkout this informative website-urologyhealth.org. Posted on October 8, 2016 by John McHugh M.D. Everything anyone would need to know about Overactive Bladder from the Urology Care Foundation. Millions of people in the United States struggle with Overactive Bladder (OAB) symptoms. The most common symptom is the ongoing urgent need to go to the bathroom. Now. OAB can interfere with work, going out with friends, exercise and sleep. It can lead you to the bathroom many times during the day or night. Some people leak urine (pee) after this urgent “gotta go” feeling. Others feel afraid they’ll leak. Mrybetriq (Mirabegron) and Solifenacin (Vesicare) work together for IC and OAB patients. Posted on October 1, 2016 by John McHugh M.D. Combining mirabegron 50 mg with solifenacin 5 mg was superior to solifenacin 5 mg alone for improving symptoms of incontinence and frequent urination. Article Reviewed: Efficacy and Safety of Mirabegron Add-On Therapy to Solifenacin in Incontinent Overactive Bladder Patients With an Inadequate Response to Initial 4-Week Solifenacin Monotherapy: A Randomised Double-Blind Multicentre Phase 3B Study (BESIDE). Drake MJ, Chapple C, et al: Eur Urol; 2016;70 (July): 136-145. Continue reading Mrybetriq (Mirabegron) and Solifenacin (Vesicare) work together for IC and OAB patients. Posted on August 18, 2016 by John McHugh M.D. You may be struggling with urinary symptoms and think overactive bladder (OAB) is the cause. Or, your healthcare provider may have already told you that you have OAB. Either way, this site will give you the tools and information to help you understand and better manage your condition. Watch a video about other people taking control of their OAB. You may also want to access our OAB Interactive Patient Guide. This web-based tool will take you through the entire journey from understanding OAB to taking control and finding treatment. 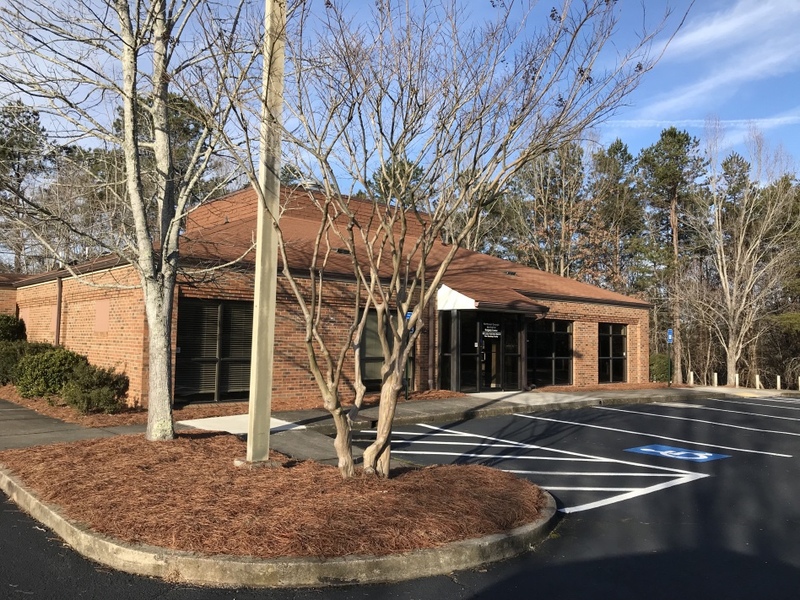 Questions or Make An Appointment 24/7-Leave a contact number and we’ll schedule to see you!